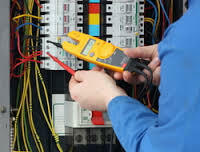 SB Ghadge & Company company is a leading Service Provider of Electrical Equipment Erection, Fabrication Works, Heavy Equipment Erection, Heavy Fabrication, Heavy Structural Fabrications, Industrial Fabrication, Industrial Sheds, MS Pipe, Mild Steel Fabrication, Pipe Linings, Prefabricated Factory Shed, Prefabricated Shelters etc. These services are offered under the supervision of our diligent professionals, who ensure of these get rendered promptly and flexibly. These solutions are rendered under the strict supervision of our adept team who are trained and experienced in the field. Our services are widely demanded in the industry owing to the promptness and flexibility with which we offer them.